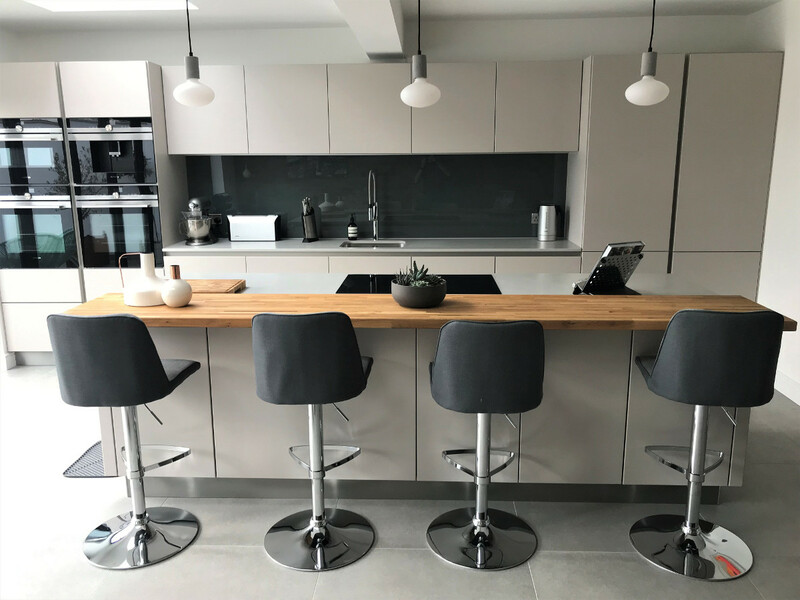 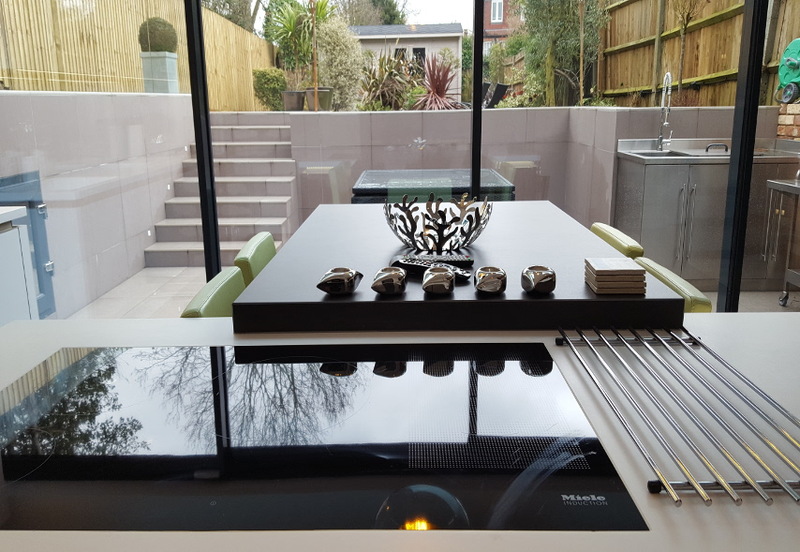 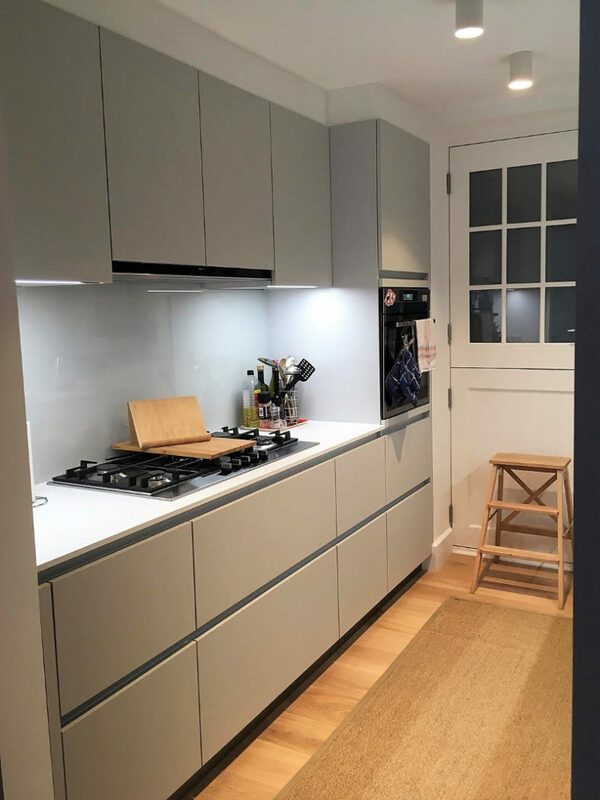 Thank you to Maria from Palmers Green for letting our designer Carl take these photos of her beautiful new Next 125 kitchen. 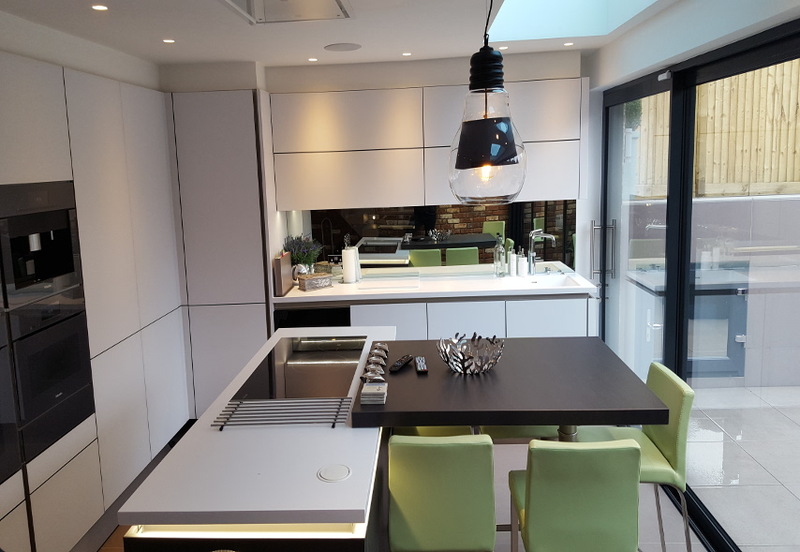 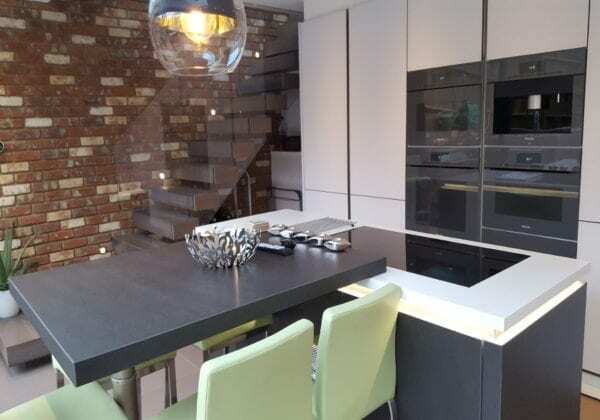 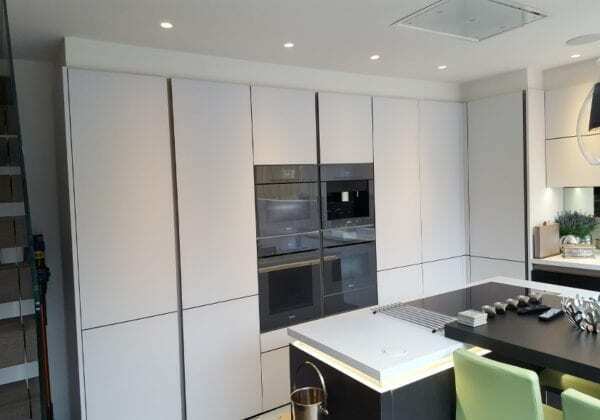 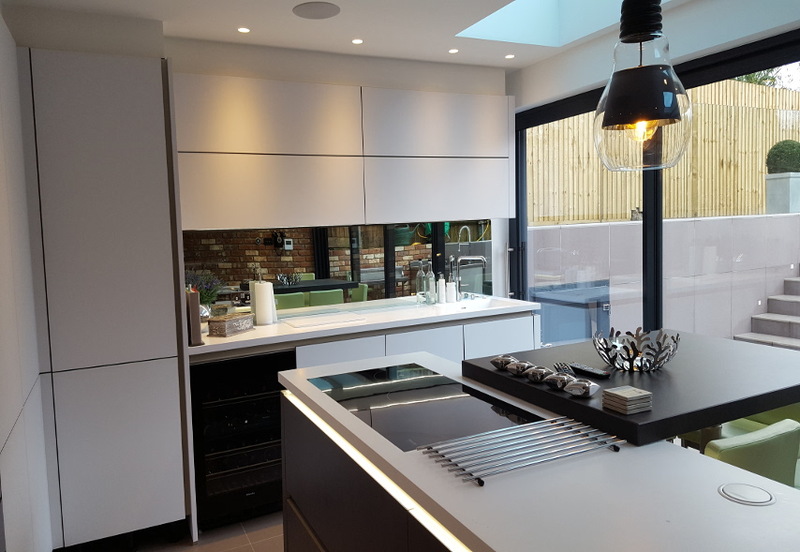 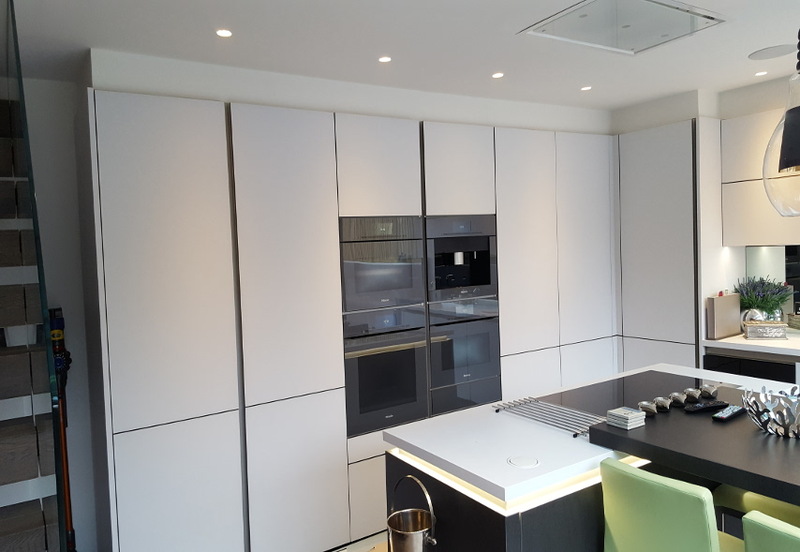 The colour of the units is Polar white, a toughened glass fronted door in matt finish. Corian worktops in two contrasting colours, Designer white and Ceramic black. 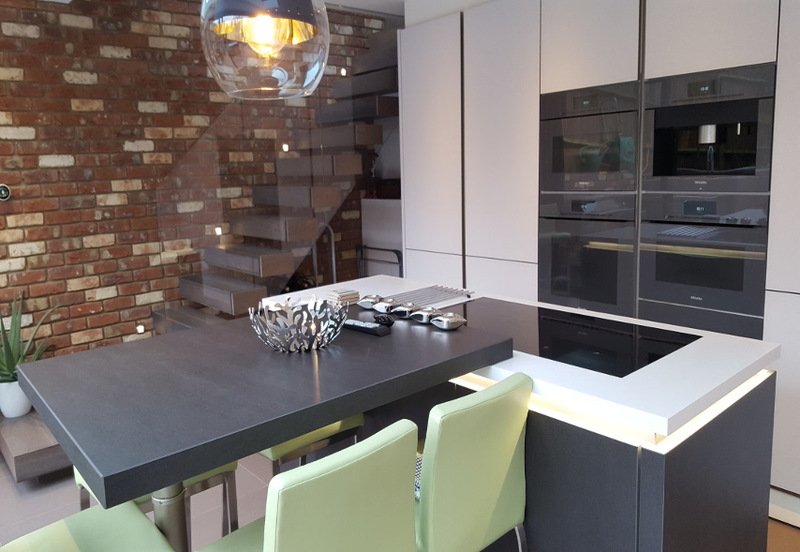 We really like the use of green too which adds colour expression to the kitchen.